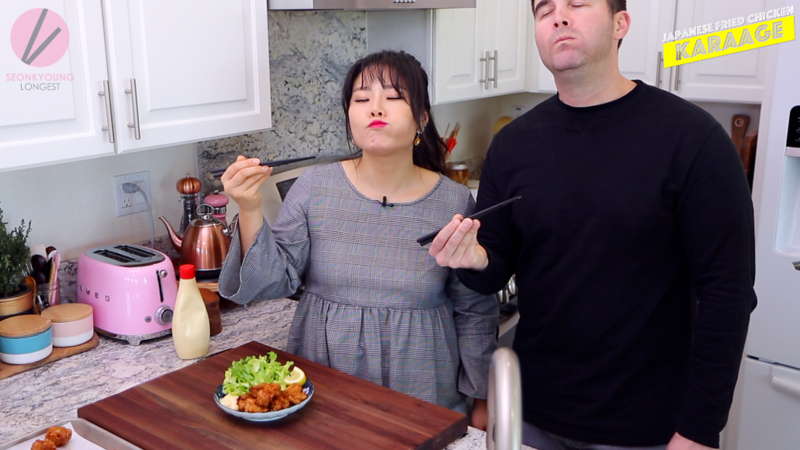 Today I’m going share the BEST Karaage recipe that Jacob and I enjoyed SO MUCH during the Japan trip! 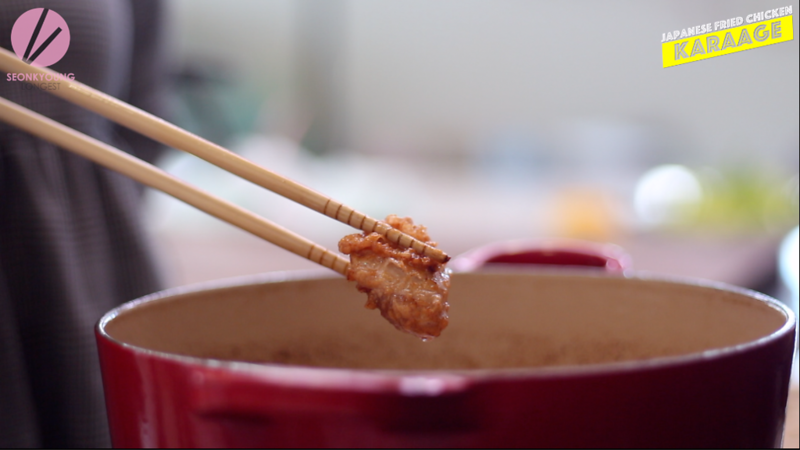 Karaage is Japanese style fried chicken, what makes Karaage so special is the flavor they putting into the chicken while marinating. Very signature Japanese flavor and lightly dusted with potato or cornstarch and deep fired. Karaage can be served as a snack, top of the rice for Karaage don, amazing bento box idea, top of udon, between the bread or however you want! 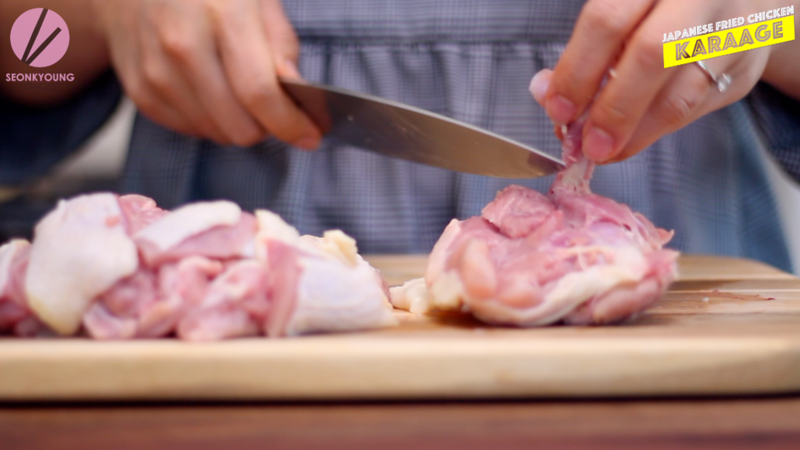 I personally like karaage made with skin-on chicken thighs and that’s how made in Japan as well. 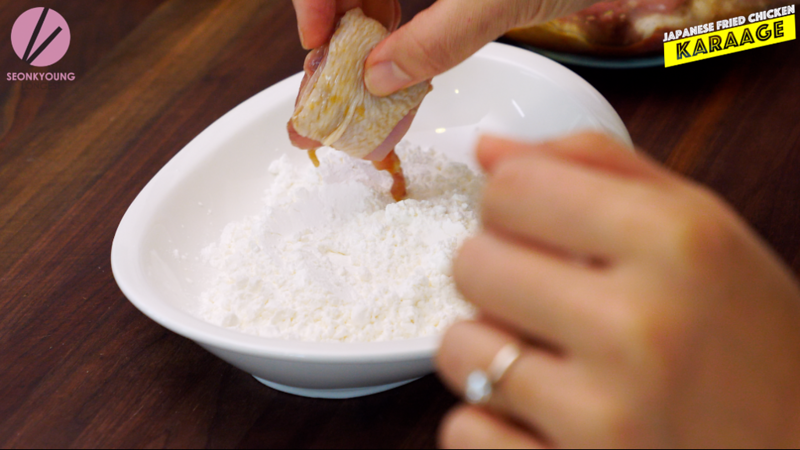 But you can also use chicken breast, if you prefer. Just cut them into a 1 1/2-inch size pieces. 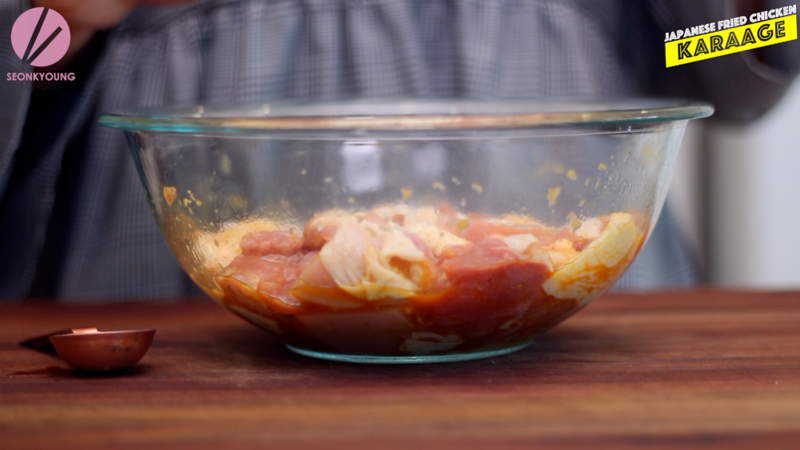 If you wanna learn how to debone the chicken thigh, go ahead and check out my Teriyaki Chicken! 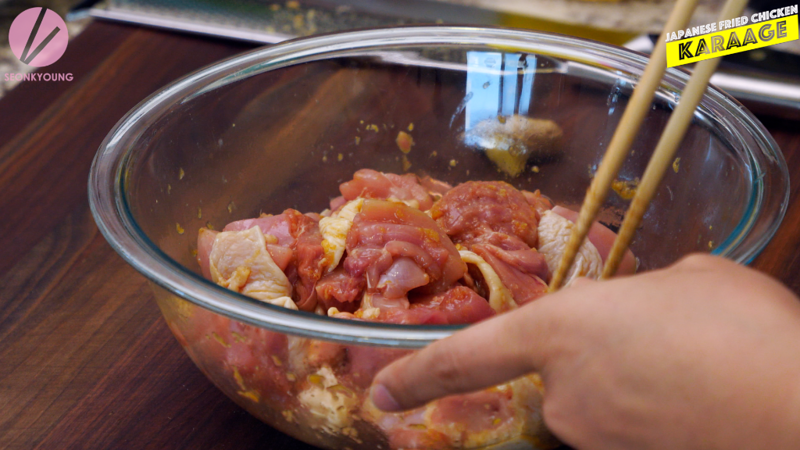 In a mixing bowl, combine chicken, ginger, garlic, soy sauce, sake, mirin and black pepper give a good mix so chicken will coat evenly with the flavors. 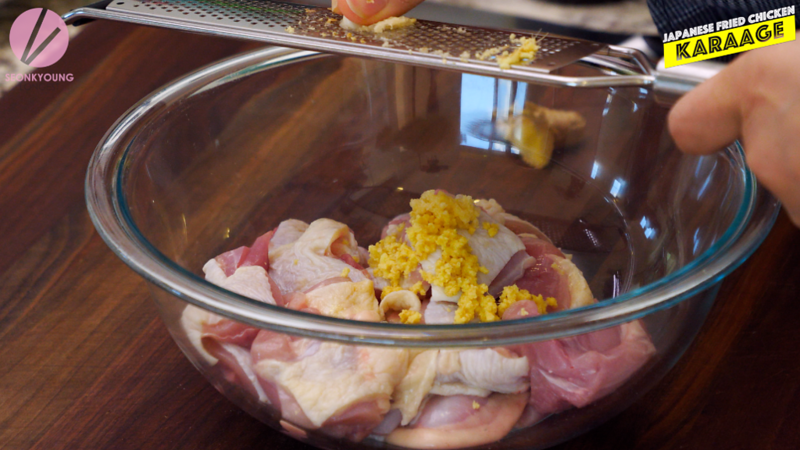 I liked to grate the ginger and garlic in this recipe, so ginger and garlic juices comes out better for the marinate. Cover with a plastic wrap and let it marinate for 15 to 30 minutes in a fridge. 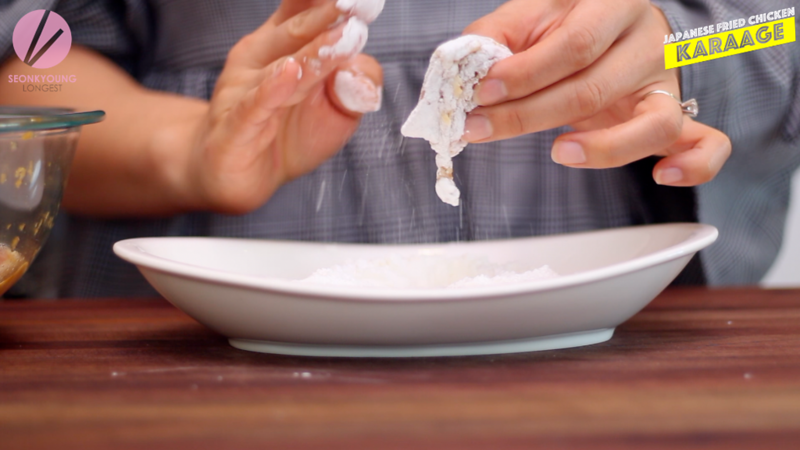 Bring cornstarch on a shallow plate. 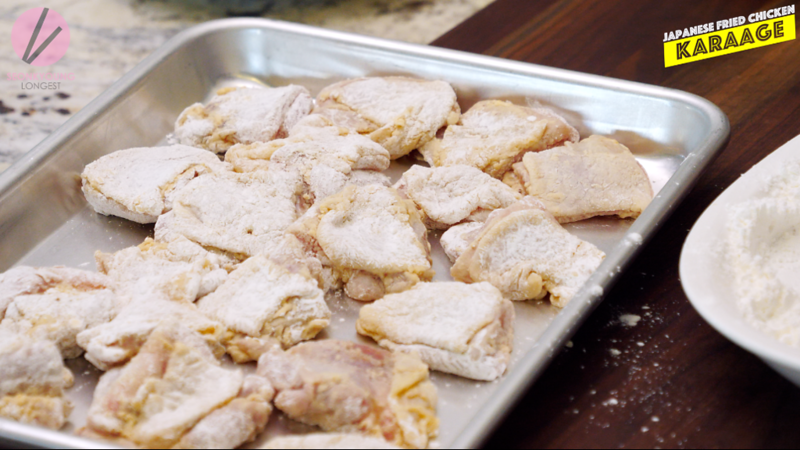 Coat each pieces of the chicken with the cornstarch one by one and shake the excess off. You don’t have to this part ahead as I did, just dust them and drop into oil strait, that’s fine too. 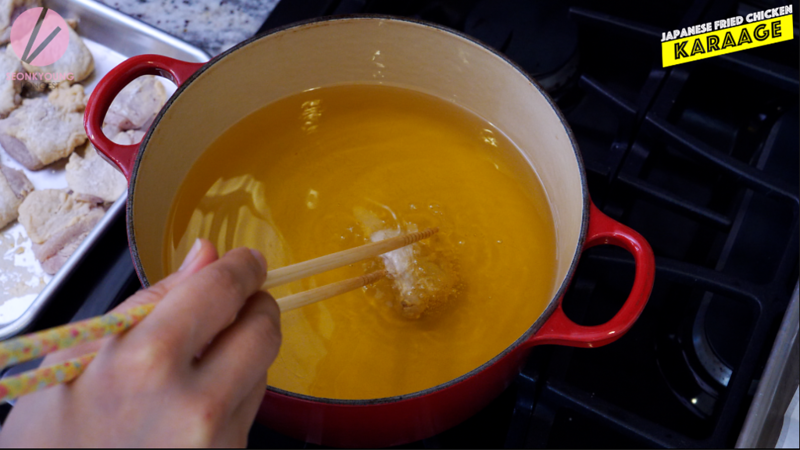 Carefully drop the chicken pieces one by one into the hot oil and fry for 5 to 6 minutes or until golden brown fully cooked. 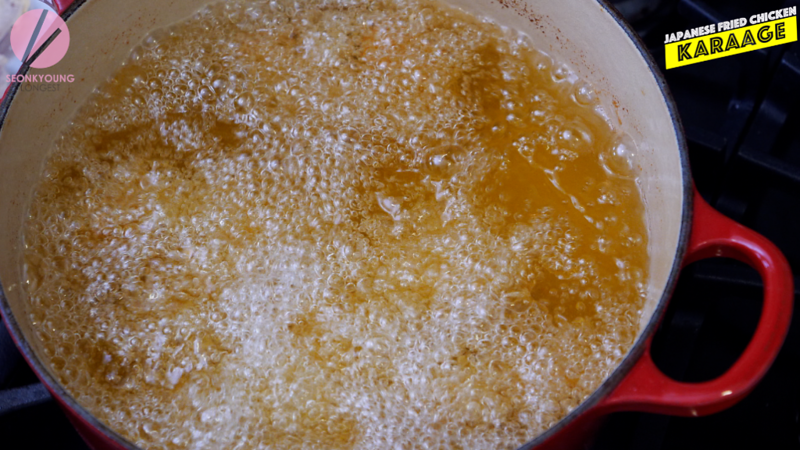 Do 2 to 3 batches depending on the size of the frying pot. 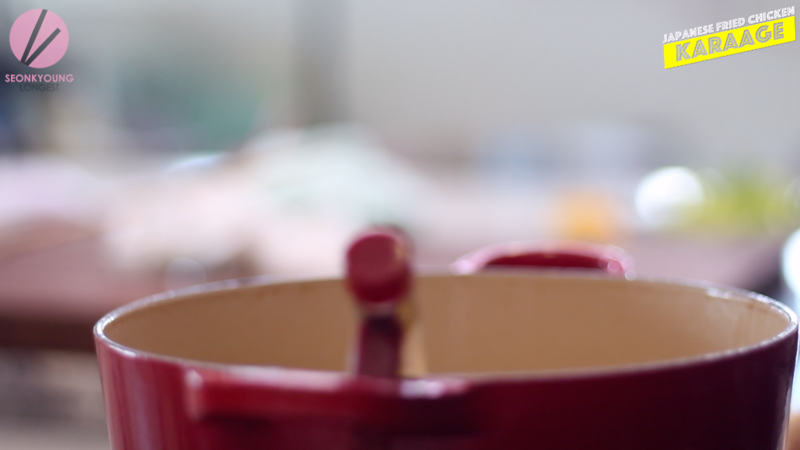 Remove from the oil and place on a cooling rack or paper towel lined baking sheet. 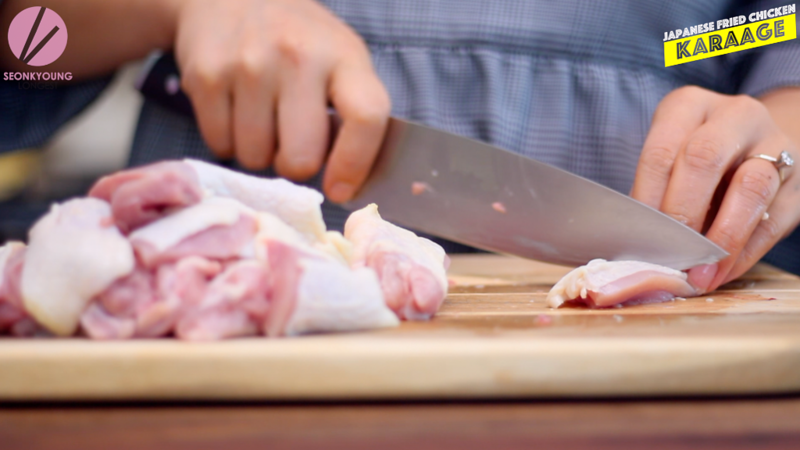 Repeat with rest of the chicken. 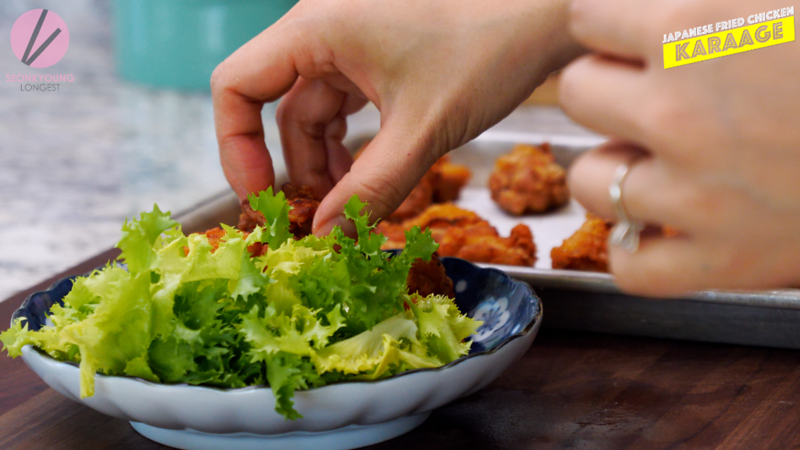 Serve crispy karaage immediately on a plate with a handful sold greens, lemon wedges and kewpie mayonnaise. Don’t forget to squeeze fresh lemon juice on top right before you dig in!! 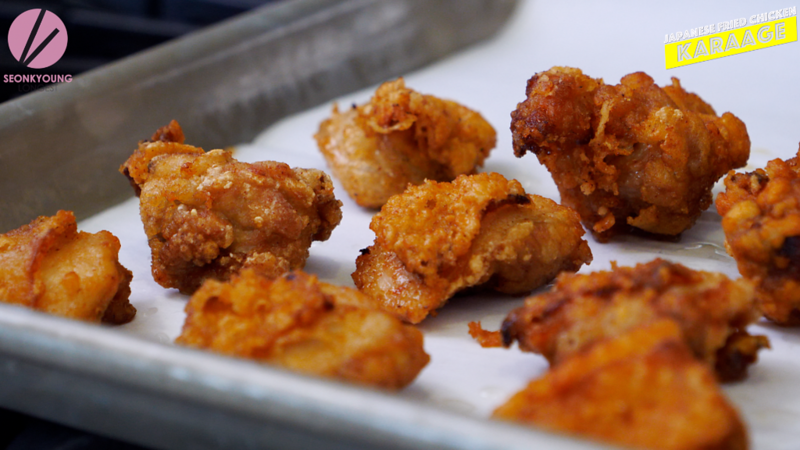 It will bring all the delicious flavor of karaage!! Weird question but i would assume that this is all gluten free, and if not what ingredients aren’t gluten free that i could swap out! Can we air fryer this too?